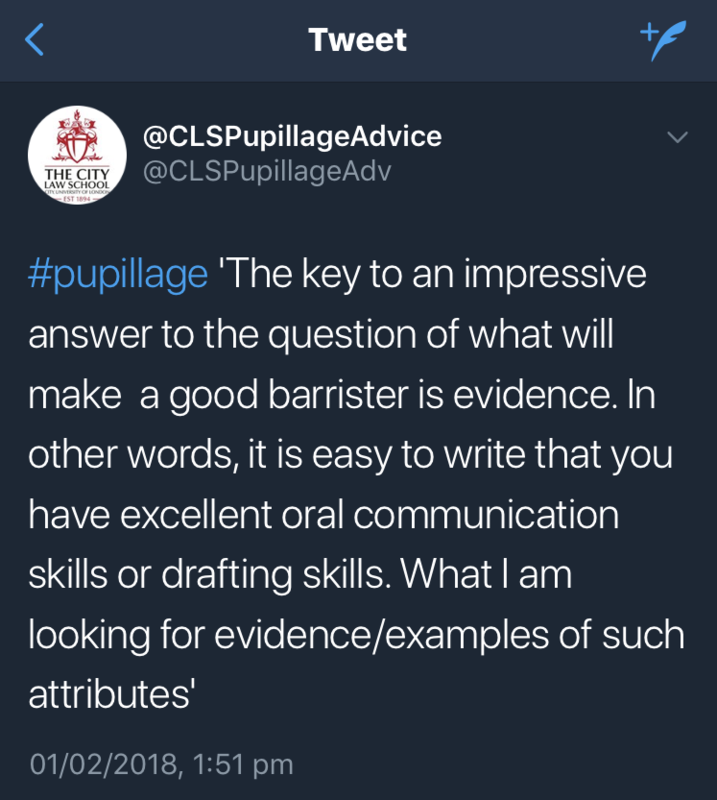 The second key to securing pupillage is providing evidence for your claims. You prove a statement by providing evidence for it. So far, so good, right? Seems straightforward. The problem is, many people forget to do this. Then they wonder why this whole process is so hard. Without a corresponding piece of evidence (i.e. an example) for any given statement, your point lacks credibility. You may well be doing this without realising it, so always remember to go through and provide evidence to back up your claims! Where do you apply evidence? Example question: Why do you want to be a barrister? Weak answer: I’ve wanted to be a barrister since I was 8. I have a strong sense of public duty and I want to defend people up against the machinery of the state. This is a weak answer for several reasons: 1) it contains no examples, 2) it’s got a platitude in it, 3) it’s not detailed, 4) it doesn’t differentiate you etc… It’s just bad all round. Better answer: I’ve wanted to be a barrister since I was 8. I have a keen interest in defending people against the state; to that end, I volunteered with women in prison and litigants in person at the PSU. This is a better answer, as it includes an example. But again, platitudes and childhood nonsense that are not relevant today. Best answer: I’m interested in justice because it has X Y Z aspects to it, then give X Y Z corresponding examples. How do you get to the ‘best’ answer? Read the question properly and pay attention: what is it asking? Use plenty of examples but only those (most) relevant to the point being made. Relevant examples not only ‘attach’ themselves to the point being made, but also demonstrate that you know what being a barrister is all about. Use language that is clear enough for the average person to understand. This is true not simply of pupillage applications, but applications to the CPS or as in-house counsel, for tenancy, Silk… everything!